If you haven’t enjoyed a Cleveland Pops Orchestra subscription before, this is the year to give it a try. You will not only receive our lowest subscription price ever, but we have added a list of exclusive benefits that will increase your enjoyment of a complete Cleveland Pops concert experience. Our 2018-2019 Concert Season will bring you a wonderful variety of themes featuring your Cleveland Pops Orchestra and Chorus with dynamic guest artists. 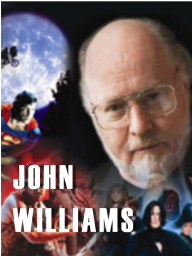 JOHN WILLIAMS: CINEMA’S GREATEST MUSIC ─ Sat., Feb. 2, 2019 ─ 8:00 p.m. ─ Severance Hall In the span of six decades, John Williams composed some of the most popular, inspiring and recognizable film scores in cinematic history. In this concert, you will enjoy many of your favorites. The variety of Williams’ compositions in this concert will thrill you with their beauty, depth and originality, giving new insight into his true genius. 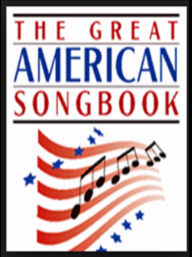 THE GREAT AMERICAN SONGBOOK ─ Sat., March 9, 2019 ─ 8:00 P.M. Severance Hall Imagine an evening of listening to the songs that linger in your memory, and that have become the music of your life ─ performed by the great Cleveland Pops Orchestra and sung by wonderful guest vocalist Capathia Jenkins. You can enjoy that experience on March 9, 2019 at Severance Hall. Relive those wonderful memories and make them new again with Cleveland Pops. Some songs include Over The Rainbow, Our Love Is Here To Stay, Bewitched, Bothered & Bewildered & More! 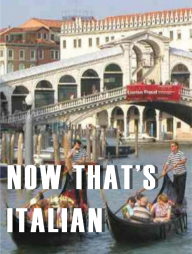 NOW, THAT’S ITALIAN! ─ Sat., April 13, 2019 ─ 8:00 P.M. ─ Severance Hall From pop to opera to romantic Neapolitan ballads, Italian music has topped the charts for centuries. The Cleveland Pops presents a night of popular Italian selections ─ familiar to everyone and beloved by all. Including: Come Back to Sorrento, Selections from La Boheme, La Traviata, Lucia di Lammermoor, Cinema Paradiso & More! Featuring everyone’s favorite arias and songs with guest soloists, Alyson Cambridge and John Cudia. 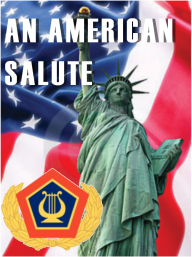 The Soldiers’ Chorus Vocal Quartet of The U.S. Army Field Band and the mighty Cleveland Pops Chorus lend their impressive collective voice to Cleveland’s most cherished tribute to our heroes. Military-inspired patriotic music and sing-alongs. Receive free tickets to every pre-concert lecture given by conductor Carl Topilow and guest artists. It’s great fun! Groups of 20 or more receive 20% off the regular price of tickets to both Severance Hall and Playhouse Square Performances. It’s easy! Just call Our Subscription Office at (216) 765-7677. Call soon for best seating choices. For more information on groups sales, click here. *Note, Concert programs are subject to change without notice.